Butterflies are common visitors to our gardens, parks, and other outdoor areas. They are also one of the most eye-catching creatures in the animal kingdom. So how much do butterflies weigh? The largest type of butterfly is the Queen Alexandra’s Birdwing. 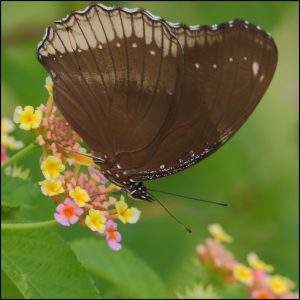 It has a wingspan of almost 10 inches, and these butterflies weigh 2 to 3 grams or 0.07 to 0.10 ounces. Western Pygmy Blue butterflies are the smallest sub-species of butterfly. They only have a wingspan of about 1/2 inch and weigh as little as a few thousandths of a gram. How Much Does A Monarch Butterfly Weigh? A monarch butterfly has a wingspan of 3.5 to 4 inches and weighs approximately 0.5 to 0.75 grams. Butterflies are found all around the world. They are not new to planet Earth. In fact we have fossils of early ancestors of butterflies that are believed to be 56 million years old! It’s believed there are as many as 20,000 different species. Butterflies go through many different stages in their lives, known as metamorphosis. They start off life in an egg. Once they hatch, they then enter the caterpillar stage. After the caterpillar stage, they go into a cocoon or chrysalis, which is called the pupa stage. Finally, the pupa emerges from its cocoon in the form of a butterfly. Once a butterfly reaches its adult stage, it has developed a large pair of wings, long legs, antennae, and a hard covering on its body, also known as an exoskeleton. 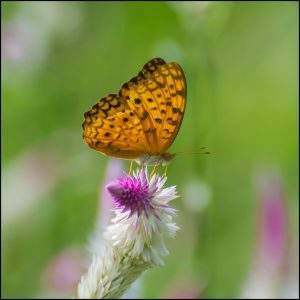 Fully grown butterflies survive on a liquid diet that usually consists of drinking nectar. They drink their food through a proboscis, which is part of their mouth. It’s somewhat similar to a drinking straw. What’s even more unusual about these beautiful and unique insects is the fact that they have taste buds in their feet. They actually taste their meals with their feet! Butterflies have short lifespans. An adult butterfly will live just 2 to 4 weeks on average. Some species live 6 to 14 days, while Monarch butterflies are known to live from 7 to 9 months. 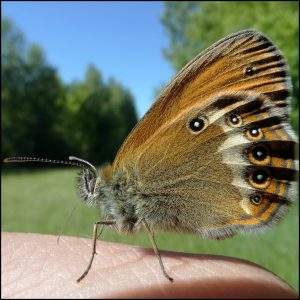 What is the longest living butterfly? The Mourning Cloak. Some adults have lived up to 11 months.